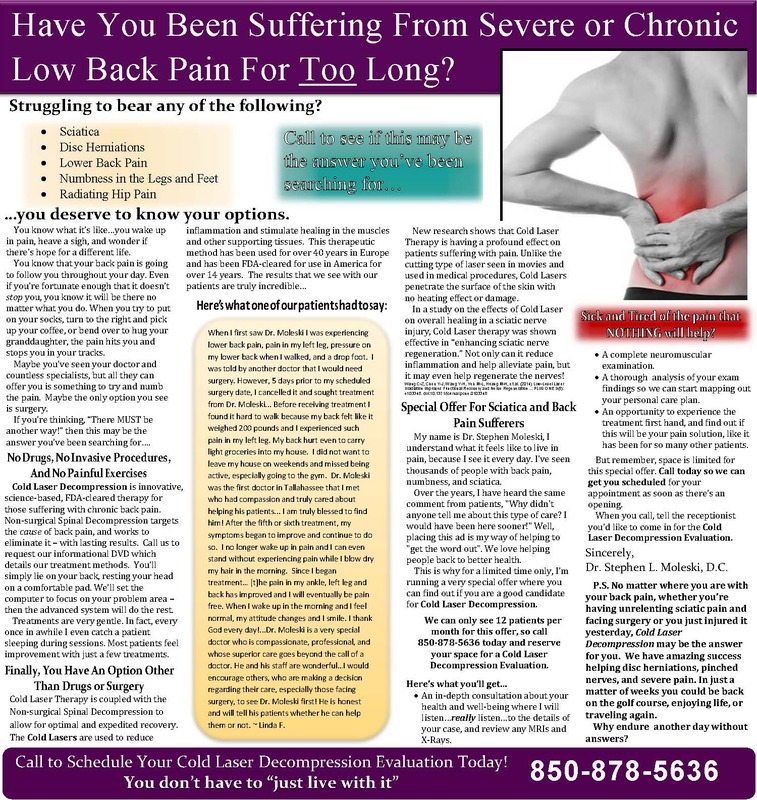 Have you been suffering from severe low back pain for too long? Non-surgical Spinal Decompression and Cold Laser therapy have been highly successful in alleviating the debilitating pain which people experience due to herniated or bulging discs, facet syndrome, and sciatica. Call today and ask to speak with our Decompression Specialist to see if you are a good candidate for Cold Laser Decompression. We are happy to provide you with information and to evaluate whether or not you are eligible for this treatment. Click here to read some of our patient's stories on how Cold Laser Decompression has helped them get their lives back.